Brad Teare reviews "Fantasy in the Wild"
Iain McCaig's review of "Fantasy in the Wild"
Harold Speed on Practical Color, part 1. Happy New Year, everybody, and thanks for visiting the blog. Today we'll take a look at Chapter 6: "Elementary Tone Exercises" from Harold Speed's 1924 art instruction book Oil Painting Techniques and Materials . I'll present Speed's main points in boldface type either verbatim or paraphrased, followed by comments of my own. If you want to add a comment, please use the numbered points to refer to the relevant section of the chapter. 1. "There is nothing better than simple, direct, solid painting." By "solid" he means opaque. The opaque paint allows you to get smooth, flat, tones, but it requires you to be accurate in mixing those tones. 2. "Nothing is as good as a clean cast placed in a strong light and shade." He's recommends doing studies from a plaster cast, probably of a classic figural sculpture, something without too much detail. Casts are available from companies like Masters International . If you'd like to recommend sources for casts in the comments, I'll add them here. 3. To paint accurately you have to see the world as if it were flat. Speed says this isn't easy because we're not accustomed to ignoring the third dimension, due to our stereoscopic vision. 4. "It is a help to look at what you are going to paint through a rectangular hole cut in a card, across which straight lines have been drawn with cotton threaded through at equal distances, both ways, drawn tightly." I've tried making a string-net viewfinder like he describes, and it doesn't work nearly as well as an acrylic sheet with a forehead spacer, as I demonstrate on my new video. Speed says: "these mechanical helps should not be relied upon too much, and should be dispensed with as soon as possible, as they interfere with freedom of expression." He has a point. If any technique undermines your confidence or restricts your freedom to make aesthetic choices, it may not be helpful. But it depends on what you want to accomplish with a given painting or study. If what you want to do is capture exactly what you see, why not start with an efficient method for doing so? It's not really any more mechanical than the "segment and slope" method. Sometimes dead-on accuracy is what I want to achieve. But other times I want to subtly change and alter what I see for expressive purposes. While I respect artists who apply an absolute moral code to their studio practices, I am a pragmatist in such matters. I believe the results will always justify the method. My observation is that artists with fixed or absolute ideas about "right" or "wrong" methods or ideas about "cheating" will end up trapped within the walls that they have constructed. I do agree with Speed when he says: "Nothing is done on a canvas that has not first been conceived in the mind." a) "The first lay in should be as simple a map of these tone masses as you can reduce your subject to." b) First lay down the tones of the light and the shadow each with a thin average tone, and then subdivide the large mass into smaller forms. 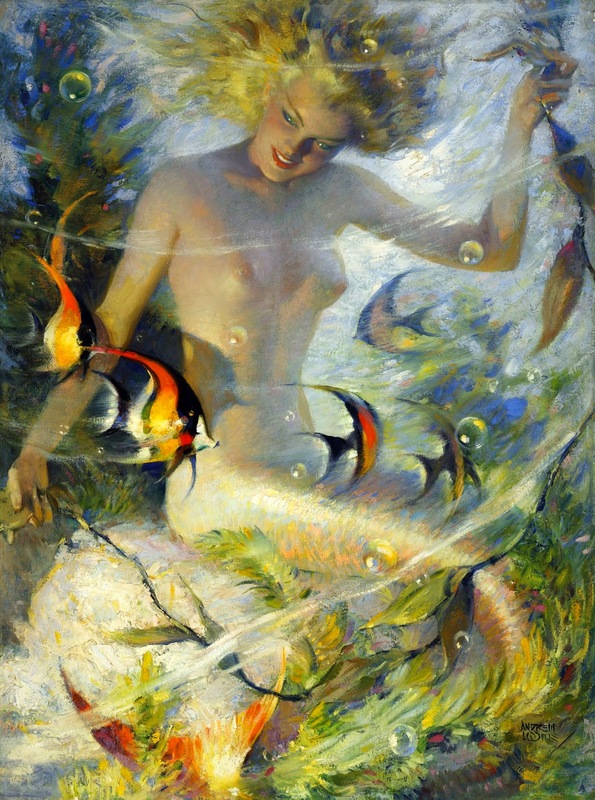 In Creative Illustration , Andrew Loomis calls this the "Big Tone Approach." c) Half-closing the eyes makes it easier to see the average tone. The eye is attracted to little accents at first, so this can be difficult. d) Paint background first, just thick enough to cover solidly, but not too thick. Save your thick painting for later. e) Keep the tones simple and flat, but spend time and attention on the halftones and transitions from light to shade. This is something Sargent and Carolus-Duran emphasized, too. f) Scrape it out if it doesn't work. Also something Sargent did. g) Don't keep patting it with your brush. Think first then add a stroke. h) Speed talks about working in front of a window, but if you want absolutely controlled conditions, you can work under an artificial light. I have always preferred the changeability of window light. i) After you've practiced with casts you can proceed to other still life objects of varying colors and textures, and then to the figure and to real life. a) Use a flat brush with rounded corners. Here's a website that discusses oil brush shapes. Silver brushes are good, but there are many brands available. b) Use the largest brush you can stand. c) Hold the brush as far up the handle as possible. d) Speed recommends using raw umber as a good color for the first pass especially because it dries fast and is fairly neutral. 7. Lines down the form emphasize toughness and across the form softness, and in every direction mystery and atmosphere. Andrew Loomis (above) talks about this too, in his excellent instructional book Creative Illustration , and I wonder if he got it from Mr. Speed. This is closer to the method taught by Carolus-Duran. 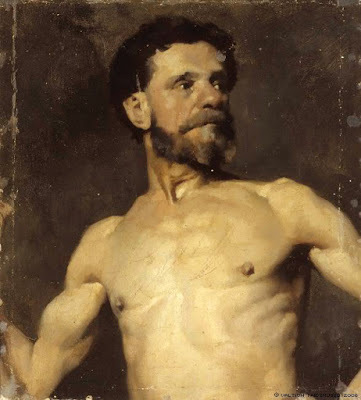 I discussed this in a previous post on Carolus Duran's Method. 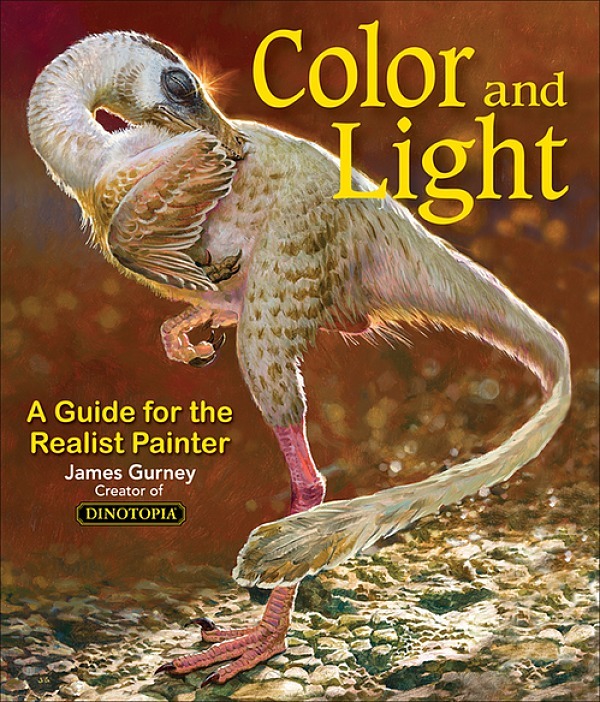 He concludes by talking about yet another method of doing studies, where you let an underpainting dry and then glaze and scumble some semi-transparent color over it. This kind of method is discussed at some detail in Solomon J. Solomon's book, The Practice of Oil Painting and Drawing . 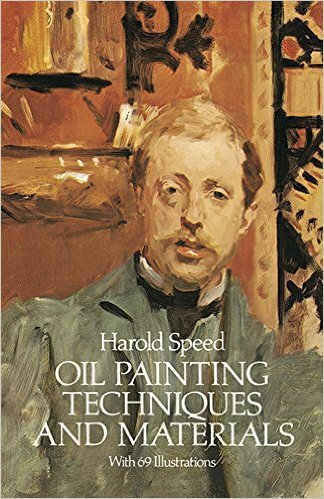 In its original edition, the book is called "The Science and Practice of Oil Painting ." Unfortunately it's not available in a free edition, but there's an inexpensive print edition that Dover publishes under a different title "Oil Painting Techniques and Materials ," and there's also a Kindle edition. If you live close enough to visit, you can buy seconds at significantly reduced prices as well. In Springfield, MA Museum Quadrangle in downtown Springfield is the George Walter Vincent Smith Art Museum. 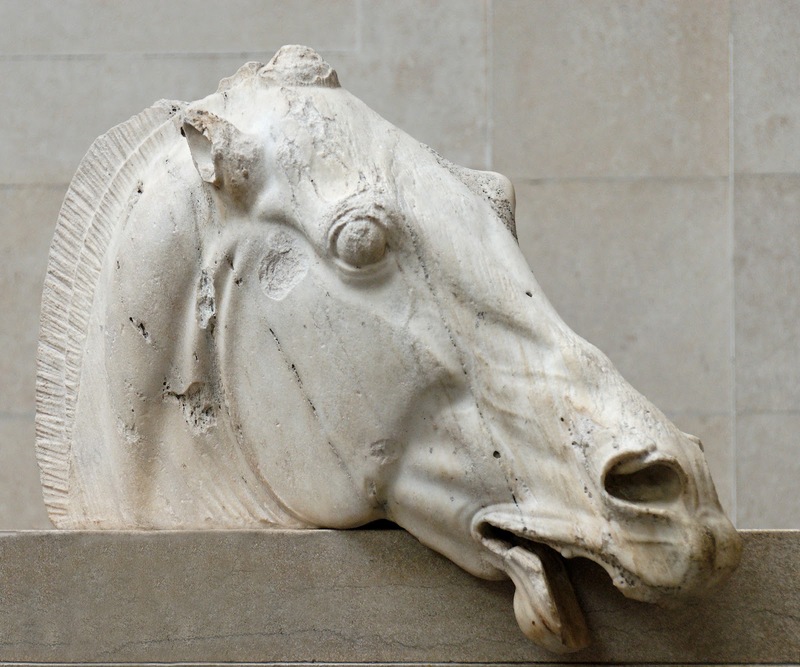 There is a whole room dedicated to plaster casts of classical statuary! For purchase Design Toscano has reproductions of various statues including works commissioned by them from various artists. We have bought three of them to put by or in our water garden and they became subjects for my drawings. 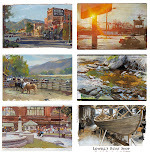 What is the cheapest material to paint studies on? cardboard primed with glue? I think i heard of that but am not certain if i am mistaken? And does it matter which glue it is? Would be great if someone could tell me. Thanks, Carol and Elaine. I'll add those links in a bit. Gyrus, you could use Masonite, pressboard, chipboard, plywood, or mat board. Glue is not too different from priming mediums, such as acrylic polymer resins, or acrylic mediums, which are good for sealing any of these boards. You could also use a specialty art paper primed for oil or canvas paper, which comes in blocks or sheets. 1: "There is nothing better than simple, direct, solid painting." I'm glad Speed then went on to say, "Painting with transparent colour, with a mixture of solid ans transparent colour, glazing, etc., are all things that must be tried later on; ..."
Being a painter in Watercolour for most of my career, but always being interested in the various theories and techniques of Oil (and now spending the majority of my time working in Oil), I will be interested in what Speed has to say later on about working with transparency, transluscency and opaqueness, especially when one considers the time the book was written. Thanks so much for this James. I'm really intrigued by what you say in point 4. I still often use variations of the speed viewfinder with a cotton grid (and share your pragmatism regarding aids) when working on still life subjects. I'm having some difficulty imagining the "acrylic sheet with forehead spacer" though! The Heath Robinson contraption I'm conjuring is probably a long way from the reality - could you elaborate a little please, especially on what the advantages are? Paul, I added a still from the new video which shows me looking through the forehead spacer, which is made from a corrugated plastic election sign. The acrylic sheet is clamped to the top of the easel, and is marked off with a grid drawn with a permanent marker. The art has a corresponding grid, and I draw the lines on that with a water-base marker. I demo the use of this on both Gouache in the Wild and Fantasy in the Wild, and I plan to do a more detailed YouTube video about how and when I use them. Steven, I also love transparent media, and will look forward to seeing where Speed goes with this. I have a question about the process: does speed mean we have to get the full painting done in one single session, while the paint is still wet? I found myself in quite of a trouble with this exercise since I ended up with a big mess after blocking in the main masses. I had to wait till it was dry before I could subdivide those into the details they needed. Am I doing something wrong, like using paint too thickly to start with, or is Speed simply assuming what I did on my own? Fabio, you could do such a study in one session but I think he's saying to work with relatively thin (but opaque) paint, using raw umber, which dries pretty fast. Then in a second pass you can refine the statement. Thanks for the hint James! Happy New Year! With regard to point 2...if you ever go to London, the Victoria and Albert Museum has a very impressive collection of casts in at least 2 huge rooms....could spend days sketching in there! What is the "segment and slope" method? Amanda, by segment and slope method, I meant the traditional way of reproducing the shapes you see by holding up a pencil to align verticals, compare measurements of segments, and evaluate slopes of a bounding box. It's an accurate method, but it takes a fairly long time to make all the corrections. Yes! In my student days at Heatherley's, I would take days off to go down there to draw in those rooms. Even though I am mostly a landscape painter, the time spent life drawing at Heatherley's was the best grounding I could have had, no matter what direction I might have gone. If in London ... do go to the V & A. A most excellent article James, thankyou. Enjoy all this talk of values. On the acrylic viewfinder - I have used a rectangle based on the 'harmonious proportion' method, then gridded it into 9 rectangles using the golden mean of the 4 sides, then diagonals from each corner. I find the diagonals very handy when lining up and plotting forms. I scored all these lines with an old etching tool and then hold the viewfinder on the top of my easel and then roughly place the key forms on it with a Faber-Castell Pitt artist pen in waterproof sepia Indian ink. After I have transposed the rough to my paper, the ink wipes off easily from the acrylic sheet. I like your forehead spacer James. See if I can fit one into my travelling kit. 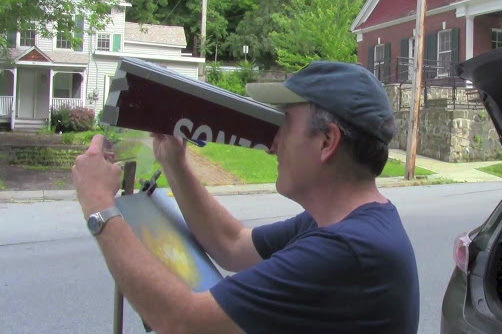 By just balancing mine on top of the easel and peering through, one eye closed...it gets exhausting keeping the right degree of poise holding my head exactly in the right position.